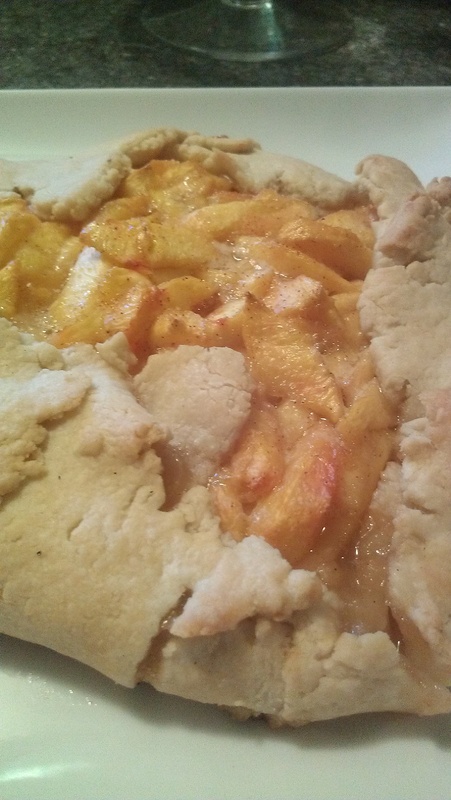 Revisiting a delicious recipe from years ago using the end of the summer fruit, PEACHES!! Enjoy your day! 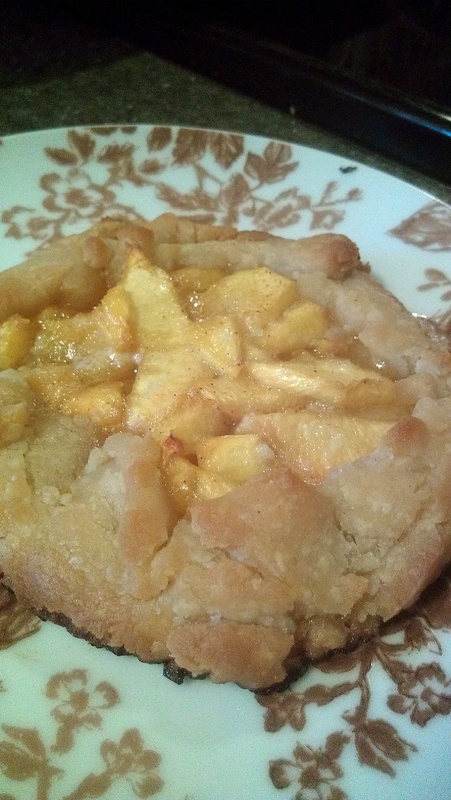 A Galette is a super easy way to make something similar to a pie. 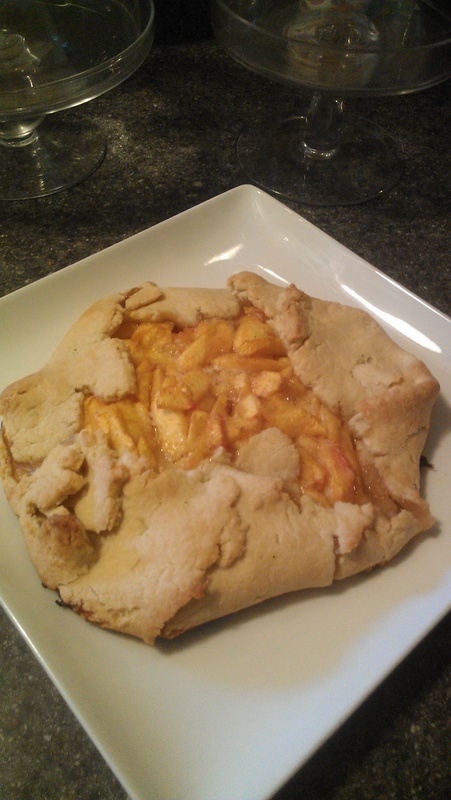 You can use any pie crust and adjust your filling for the fruit you have on hand. Enjoy! Add flour, salt and butter to a food processor and pulse until the butter is the size of peas. Sprinkle over 4-6 tablespoons cold water and pulse until incorporated. Start with half the water then add as you need. pulse until larger clumps start to form. You’ll see the dough start moving away from the blade and up the sides of the processor, then falling back into the center. The mixture will look crumbly, but it should hold together when you pinch some between your fingers. Turn dough onto your counter and shape into a flat disk. Let rest in the refrigerator for about 10 minutes. While your dough is resting peel and chop 6 to 8 peaches. Place in a bowl and sprinkle with nutmeg and cinnamon. Then add ¼ cup brown sugar. Roll your dough on a floured surface until about 12 inches in diameter. Place on a stone baking sheet or a baking sheet lined with parchment. Spoon the peaches in the middle if the dough covering about 6 inches. Then simply fold the dough over the filling but not completely. Cut 4 TBSP butter into small dice and place on the top then sprinkle with white sugar. Bake at 400 degrees for 15 to 20 minutes. Serve over ice cream or just as it is, so delicious! ENJOY! I found a great new product in the refrigerated section at Wegman’s! Pillsbury GLUTEN FREE Pie and Pastry dough! So I made a Galette for myself using this dough. It was pretty tasty. As you can see, you can use any pie dough for this and you can make it any size! For my next Tea, I’m thinking of serving mini individual Galettes! YUM!